Untill 2010 we've bred 101 Bobtail litters. We've bred below listed litters since 2010. You can find more information and pedigree of this combination at their own page. A hot summer in Maaseik, because the beautiful Canadian Dayton took care of his first offspring at our Mucke. During the match “Belgium – Japan” she gave birth to 3 boys and 2 girls. What are we proud and happy! Our British Nelia has found her happiness in the Polish Bacardi. Puppies are born at July 5th in Belgian Maaseik. My darling Doro (Jadore aus dem Elbe-Urstromtal) puppies are born at 28. March. She choose for a handsome young partner called Peppe (Nochmal aus dem Elbe-urstromtal). The puppies of Macoes Aspen and my “Nice Surprise aus dem Elbe-Urstromtal are born at 16 october 2016. Our Niki has fallen for the charms of her handsome young roommate Norman. Puppies are born at March 21. On 14th January our Socke gave birth to her only child, a girl named Pure Solo. Our wonderfull multi champion Jadore aus dem Elbe-Urstromtal has puppies after our darling Texas. A repeat of our succesful litter with our Norman Harrison, No Limits and No one but me is. Our English champion Doro’s first litter has born at the 29th May. Proud dad is our own Texas. No time for resting in the Verelst Residence: at 19 april the litter from Floh and Pebbles has born, 7 males and 4 females. It took some time but we have puppies again in the Verelst residence. 5 boys and 5 girls were born at 10 March. A pirate (Jack Sparrow aus der Boverheide) captured the heart of a bandit (Elbandita aus dem Elbe-Urstromtal): heart thieves were born at 29 April, 2 males and 7 girls. Socke has found her new boy-friend again on the Greek Olympus. 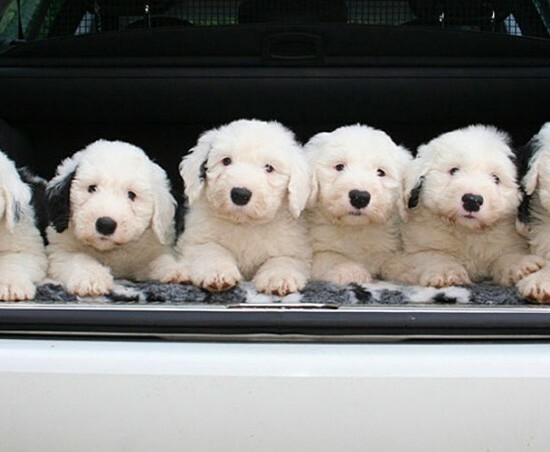 Pups are born at 15 December 2012, 7 males and 3 girls. Our King is going to get more brothers and sisters, one male has born at 28 May. Father is Incognito of Snowboot Bears and mother our own Elbandita aus dem Elbe-urstromtal. Santa Clause brang winter puppies to our Holly at 16 December. Daddy is Happy Panda’s X’Bambino di Ragazzo and mum is our own Holiday Inn aus dem Elbe-Urstromtal. Socke had to drive 1400 km to found her Anglo-Greek prince charming, Aryaka’s Geocosmic. This litter is born at 24 September, 1 boy and 2 girls. This litter is born 30st of May, 5 boys and 5 girls. Father is our Eldorado and mother is our own Flashlight aus dem Elbe-Urstromtal. This litter is born 1st of January, 6 boys and 3 girls. Father is Incognito of Snowboot Bears and mother is our own Elbandita aus dem Elbe-Urstromtal. This litter is born 20 July, 3 boys and 2 girls. Father is Incognito of Snowboot Bears and mother is our Holliday-Inn aus dem Elbe-Urstromtal.